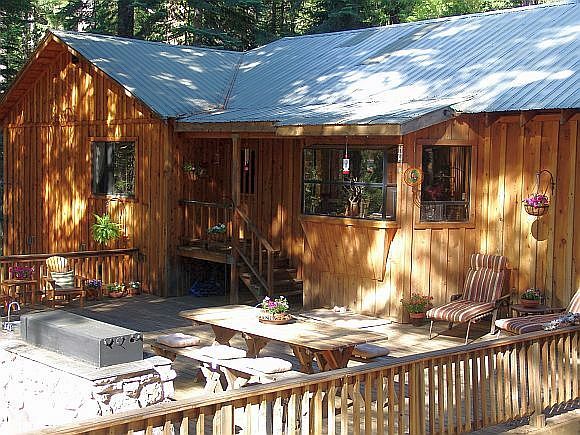 Sierra Solitude is the name of our 3 bedroom, 3 bathroom vacation home high in the mountains of the Northern Sierra Nevada. It's gorgeous here! 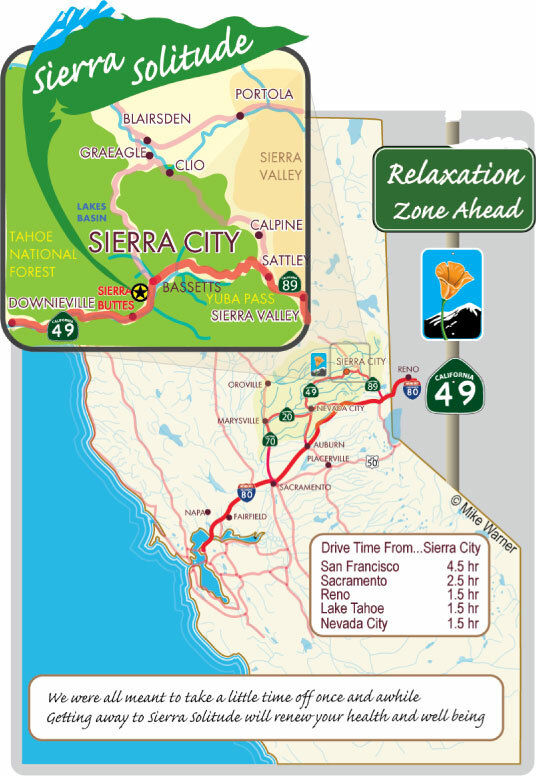 You will find us in the heart of scenic Sierra County, directly off Highway 49 between the historic goldrush townsites of Sierra City and Bassetts. To see our location, click map. For a Google Earth perspective, click Bird's Eye View. Your drive here will take you along a glorious stretch of the Yuba-Donner Scenic Byway, and you will feel yourself shifting naturally into a slower, more relaxed gear as you leave the crowds far behind. 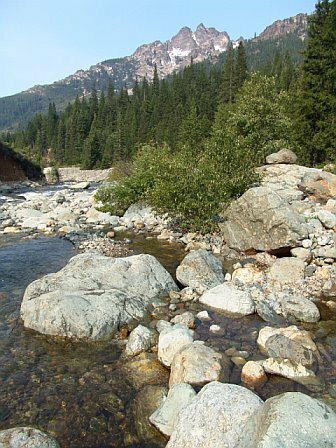 Sierra County is made up almost entirely of forest and is the second least-populated county in California. 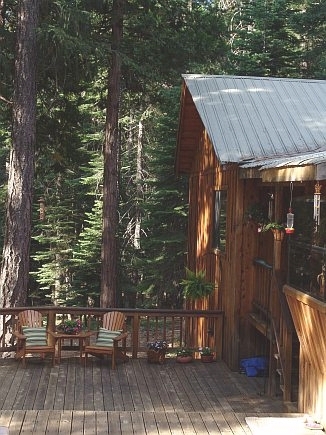 If you enjoy getting away from it all, this is definitely the place for you! 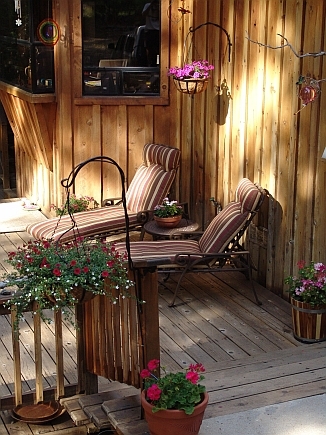 Our house is a wonderfully secluded retreat, nestled on 3 private acres at an elevation of 5200 feet. We are surrounded on all sides by forest and there are no neighbors anywhere in sight. You can hike for miles without seeing a soul on an old logging trail that starts outside our front door and will take you through spectacular scenery. Or you can drive a short distance to any number of other beautiful trails, lakes or rivers. The possibilities are endless! (See Things to Do for more details). Everywhere you look the scenery is breathtaking! 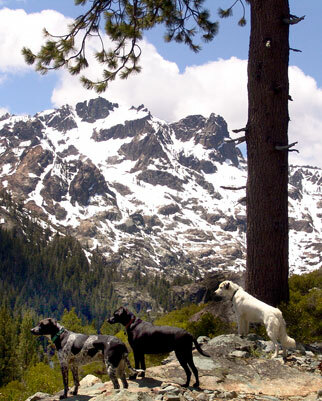 The craggy peaks of the dramatic Sierra Buttes tower above us at 8600 ft. The glittering alpine lakes of the Lakes Basin Recreation Area are just a short drive up the road, and the Pacific Crest Trail is less than 2 miles away. Add to this the pristine rivers and dense forests all around us, and you get a sense of the vast wealth of lesiure opportunities this region has to offer all year round. Yet it is far less crowded than other mountain "resorts" and remains a hidden treasure. Within this unique region our vacation home provides an utterly private and tranquil haven in the heart of nature. The expansive deck with built-in double barbecue, large picnic table, luxurious loungers and beautiful plants is the ideal spot to relax and experience the special magic of this serene mountain setting. In summer the temperature always seems to be just right here, with the perfect combination of sun and shade. During winter, you won't want to leave the warmth and comfort of the spacious interior, especially the huge log fire. 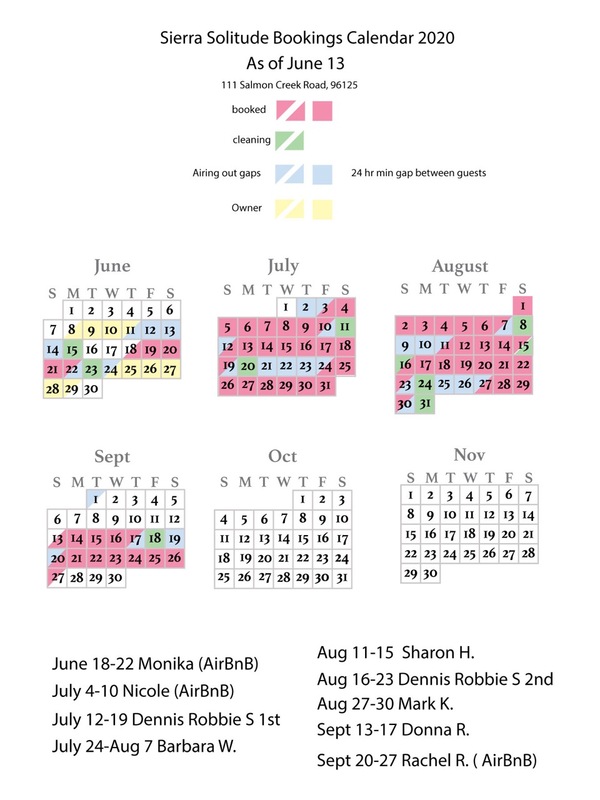 If you have canine family members they are more than welcome at Sierra Solitude. They will be in 7th heaven here as they romp and explore the forests, lakes, streams and trails to their hearts' content! 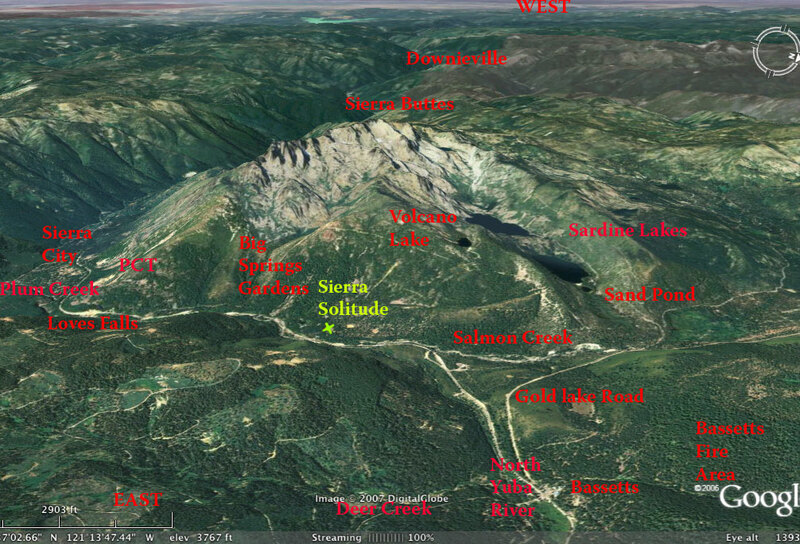 So why not jump in the car and come and discover Sierra Solitude! Whether you are an active outdoor enthusiast, or prefer to take things at a more leisurely pace, there is something for everyone here during all four seasons. But, be warned, that you may never want to leave!